Recipes! – Oatmeal Banana Cookies! December 17, 2017 December 17, 2017 by jlh827Leave a Comment on Recipes! 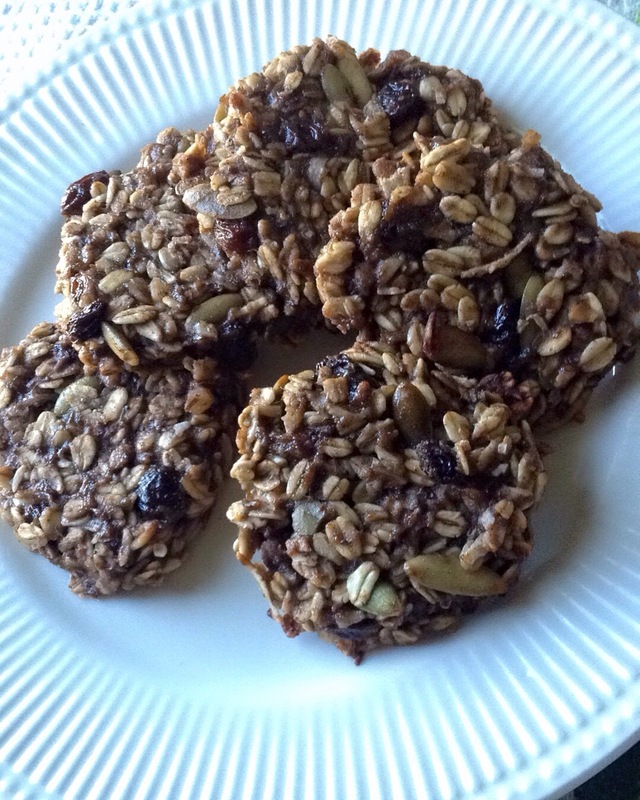 – Oatmeal Banana Cookies! Super easy to make and very healthy for you! a nice sprinkle of chia and ground flax seeds. Mash up bananas and incorporate your spices and nut or seed butters, then mix in well, and then the rest of your additions such as sunflower seeds, coconut, raisins etc…whatever you want! Stir in your rolled oats, mixing very well and let it sit for 10-20 minutes. Spoon onto a baking sheet with parchment paper and kinda flatten it out. Bake at 375 degrees for about 20-30 minutes until nice and brown and fully cooked. December 16, 2017 September 8, 2018 by jlh827Leave a Comment on Extension for 2 More Days! So due to many inquiries and interest in this program, Abby of Prime Physique Nutrition and I have extended the enrollment to the Conqueror Eczema Academy 8 week group coaching program for 2 more days! Together, we’ll be walking with you over the next 8 weeks to teach you how to overcome this through weekly LIVE calls, teachings, support, accountability, and encouragement! You’ll also receive a meal plan, recipe suggestions, an eczema friendly workout program, and meet others who are going through the same thing so that you can get more support ☺️ You will also have access to 50+ video teachings by a naturopath, skin experts, nutritionists, and a personal trainer. In the last round of coaching, we had members from Australia, Asia, Europe, USA, & Canada! It was so awesome to reach people from all over the globe and get them the help they need to heal! One of the members in our group had been using steroids for over 20 years and experienced significant healing after being 1-month steroid free! ****if you happen to miss this deadline or aren’t able to sign up, no worries…you can sign up after the deadline or in the future with the link in my bio and join in the next round of LIVE coaching we’ll hold in the future!